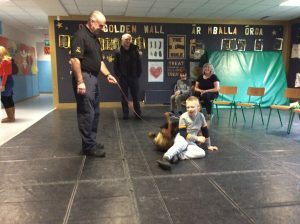 The children from Lyndsy’s class and Sinéad’s Class enjoyed a visit from the Garda dogs on Wednesday 14th November. 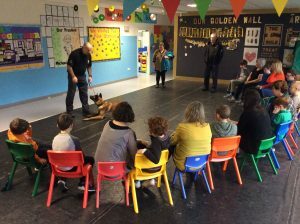 Paul, who trains the dogs, told us all about them and the important work they do keeping us safe. You can read more about the work of the Garda dogs at this website. 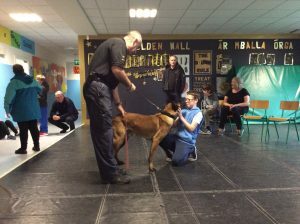 The dogs are excellent at their job because they have a great sense of smell which they use to help the Gardaí in search and rescue operations. They were very friendly animals and they loved all the attention. 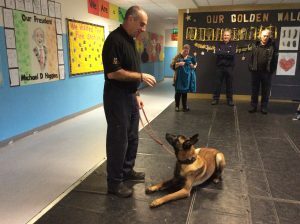 We were very impressed with Nidge who showed off his barking tricks. 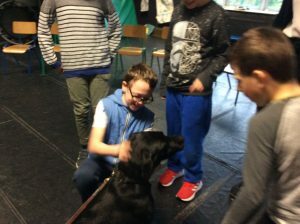 We hope that Paul and the dogs will visit the school again soon.